We created this fountain that doubles as a swimming pool. The pool is 20 feet long, 10 feet wide, and 4 feet deep. 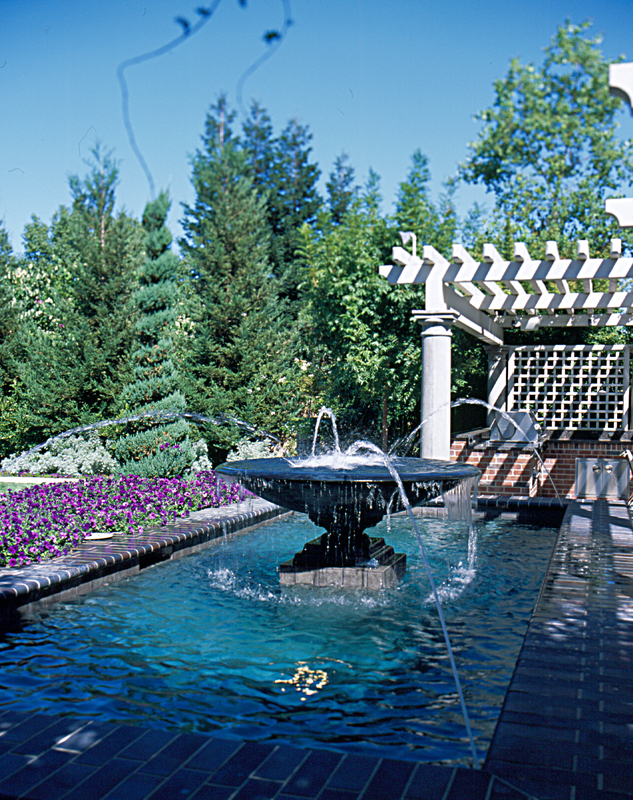 In the center is a cast iron fountain bowl and arching jets that give a dramatic effect.